Living Legacy Tattoos is a premier tattoo and body piercing studio located at 901 N Dixie Hwy in the heart of beautiful downtown West Palm Beach, Florida. Being located 0.6 miles from Clematis St, 1.1 miles from City Place, 1.2 miles from Northwood Village, and only 2.2 miles from the beach, we are strategically located to offer our clients top quality tattoos and body piercings in an area full of rich culture and plenty of activities for socialites, shoppers, art enthusiasts, beach lovers and foodies alike! 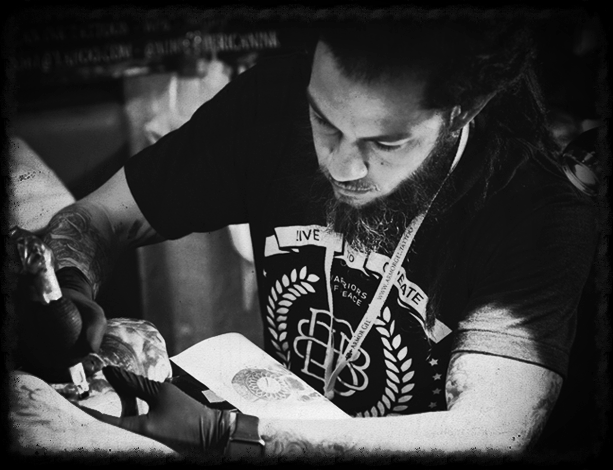 Michael Sarmiento has been tattooing professionally since 2008. He served his apprenticeship under the instruction of Judith DiBisceglia of American Ink Tattoos in Lake Worth, Florida. 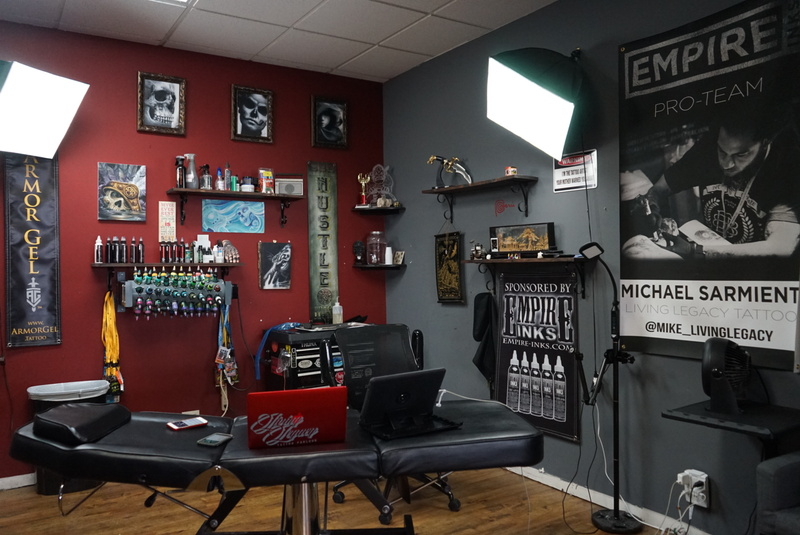 Over the years Mike has fine-tuned his craft both locally and traveling the country working the Tattoo Convention circuit as both a Pro-team member for Empire Inks, and an Armor Gel sponsored artist.